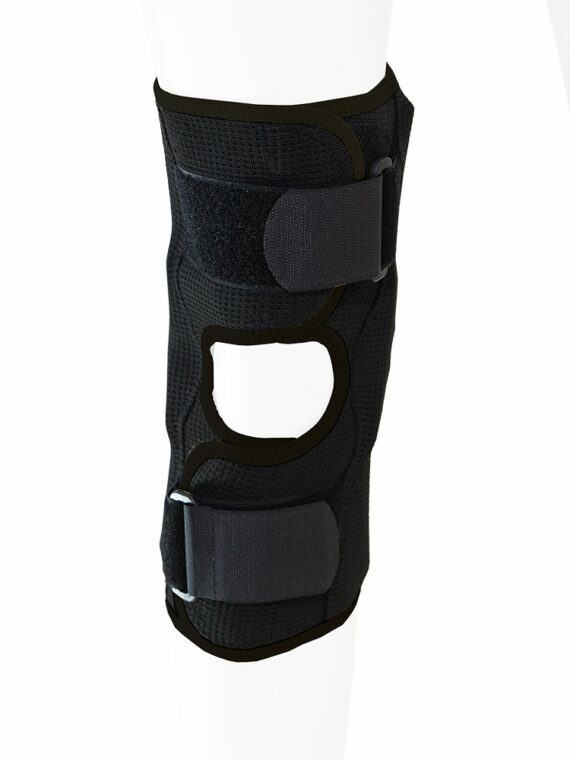 British made 3 panel knee immobilizer for proper knee immobilization necessary for recovery and used post operatively and post cast removal. Features high quality foam material with a Velcro friendly front and a towelling lining for warmth, east of fit and comfort. 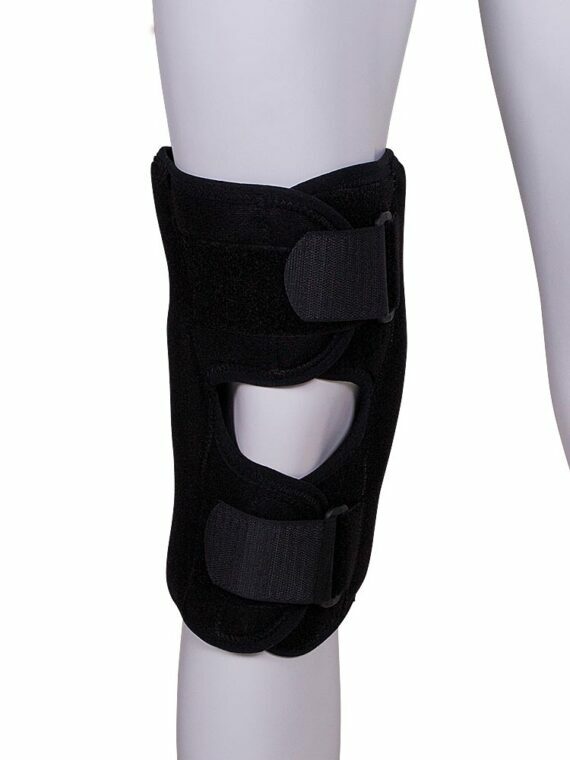 British made 3 panel knee immobilizer for proper knee immobilization necessary for recovery and used post operatively and post cast removal. 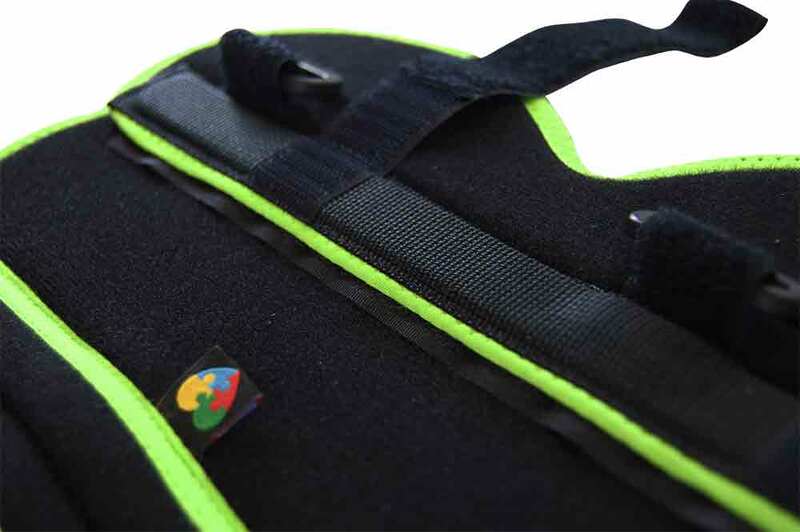 Features high quality foam material with a Velcro friendly front and a towelling lining for warmth, east of fit and comfort. 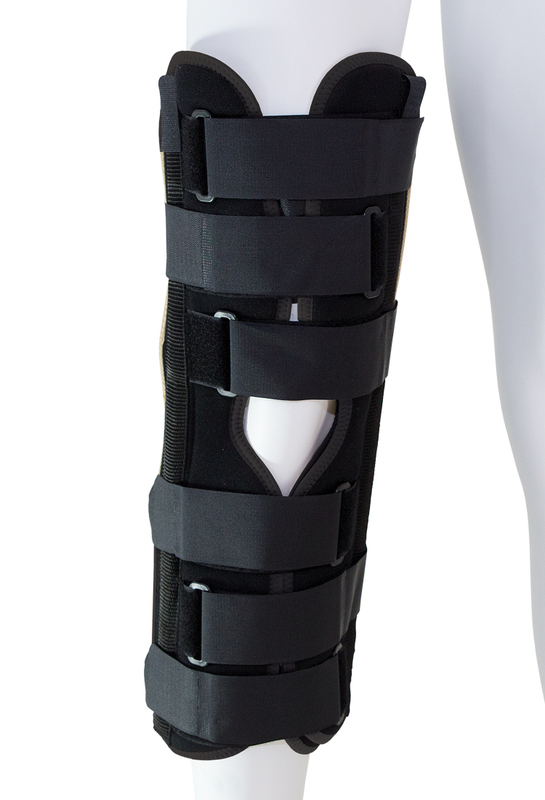 The 3 panel design and range of lengths allows the wearer to get an exact fit to ensure proper immobilization. 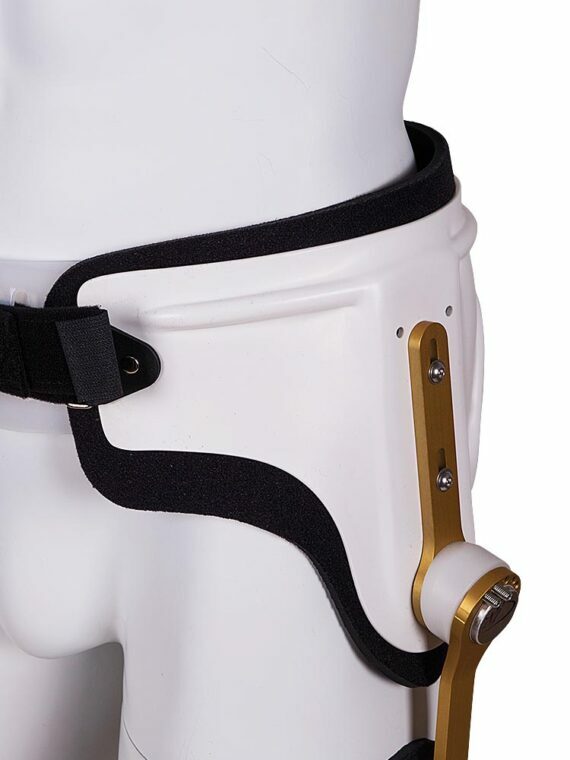 To further help immobilization, the orthosis has 2 straight aluminium straight side stays and 2 aluminium shaped stays in the back to accommodate the profile of the calf and the thigh. 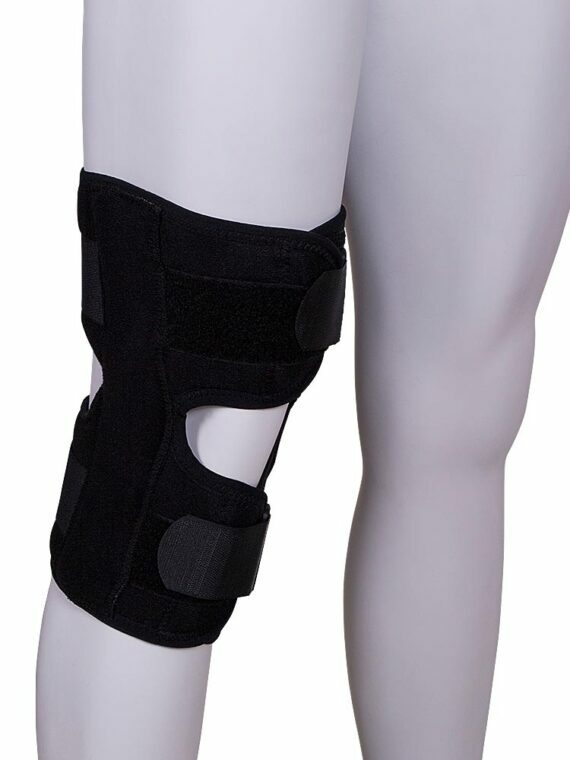 The immobilizer is universal and can be fitted to either leg and for ease of use the panels are fitted together with Velcro touch close fastenings. 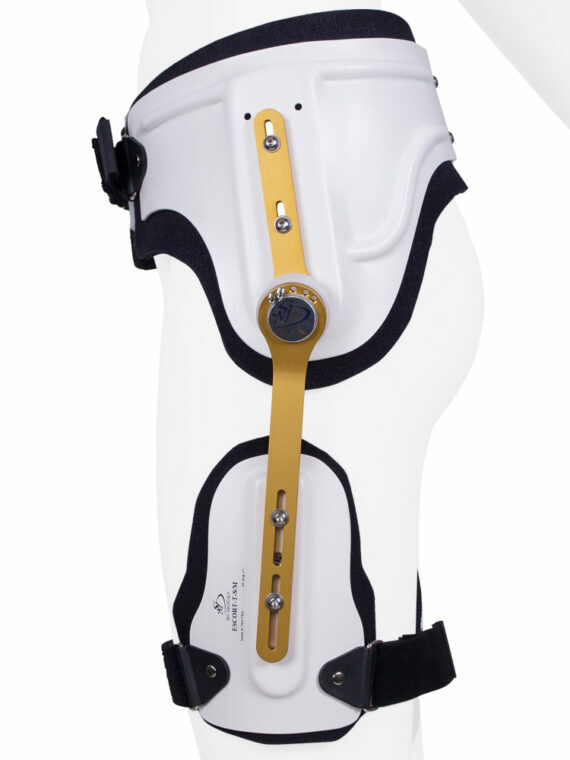 All in all, a high quality British made orthotic device offering maximum value and patient compliance.